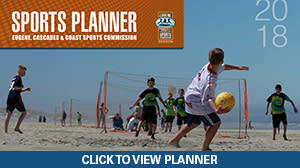 The Eugene, Cascades & Coast region has seen a lot of exciting activity in the way of sports in 2014. Besides hosting a number of incredible events throughout the year, many facilities throughout the area are undergoing improvements, and new sporting venues are taking shape. 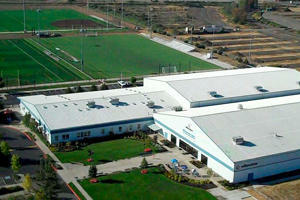 Willamalane Park and Recreation District It’s been a big year for Willamalane, as a 2012 bond measure has allowed them to add even more places to play to their already impressive roster. 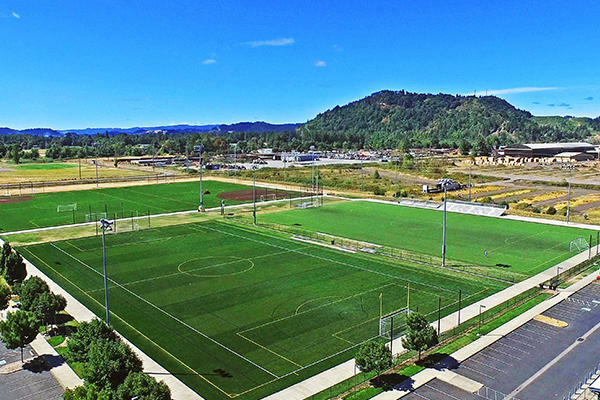 Willamalane Center for Sports and Recreation in Springfield now has four fields, as two new artificial turf sports fields were completed for soccer, softball, and baseball. The two existing fields have been upgraded, as Morrisette Field received fresh AstroTurf, and crews installed grandstand seating at Kelly Field so soccer fans can cheer for Northwest Christian University and semi-pro Lane United Football Club. Two 90-foot-long bocce ball courts have been installed (if you’ve never played bocce, take an afternoon to give it a try! ), and additional restrooms, parking, lighting, and a picnic shelter are coming next. Willamalane also used the bond money and federal funds to purchase almost 700 acres of parkland along the Thurston Hills ridgeline. This beautifully forested area will eventually include trails through the towering trees for jogging, hiking, and mountain biking. Emerald Valley BMX Track BMX riders from around Lane County are enjoying the largest remodel to date at the Emerald Valley BMX Track near Autzen Stadium in Eugene. The $50,000 renovation added sections and jumps to the course to challenge more experienced riders, along with paved corners, an electronic starting gate, and the addition of a special sealer to stabilize the dirt and control dust. The track still welcomes riders of all ages and skill levels (and is free to the public during daytime hours! 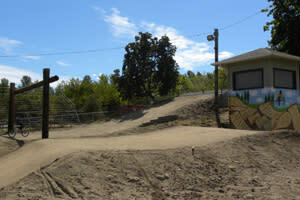 ), but the improvements are designed to attract larger outdoor BMX events to Eugene. About the author: Jessica Chestnut is the Social Media and PR Manager for Convention and Sports. She’s called Oregon home for more than 20 years, and there’s nowhere else she would rather be than Lane County. She spends her free time snowboarding, skateboarding, camping, floating the McKenzie, watching college football, enjoying local microbrews and spending time with her husband and their boxer-mutt, Audra.